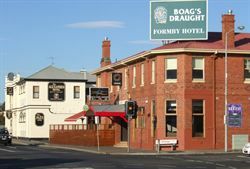 3 star rated Hotel located in Central Devonport, Tasmania. Bed and Breakfast located in Central Devonport, Tasmania. 3.5 star rated Hotel. Centrally located in the heart of Devonport, Tasmania, offering a wide selection of contemporary accommodation. Facilities include high speed internet for deluxe room, 24 hour reception, guest laundry, wheelchair accessibility, baby sitting service available, non smoking rooms, onsite parking, complimentary newspapers, facsimile/photocopying services, and more. This quality self-contained accommodation is overlooking the picturesque Victoria Parade and Mersey River. Enjoy the peace of this special waterfront location in a lovely garden setting with gorgeous river views. Fabulous beaches and sumptuous local restaurants are only a short walk away. One of the original hotels of Devonport, the Edgewater Hotel now boasts Devonport's newest and most exciting accommodation. Edgewater Hotel offers 42 well appointed rooms for corporate and leisure visitors, a restaurant, 2 bars, function room and gaming facilities. Edgewater Hotel has been fully reburbished and sited on the east shore of the Mersey River (next to the Spirit of Tasmania terminal), featuring 42 king-bed rooms, restaurant, 2 bars, function room and off-street parking. 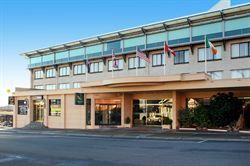 The Quality Hotel Gateway Devonport offers a wide selection of contemporary accommodations and is centrally located in the heart of Devonport's CBD. The Quality Hotel Gateway is one of the largest hotels in the northwest. They are also at the gateway to the Cradle region, a six-minute drive to Spirit of Tasmania terminal, a 10-minute drive to the Devonport Airport, one-hour drive to Launceston, and Hobart is an easy three-hour drive south. The hotel offers 88 guest rooms, including 64 standard rooms, 22 deluxe spa rooms, and 2 junior suite deluxe spa rooms. Additional property features includes free newspaper, parking, 8 in-house movie channels, and express check out. 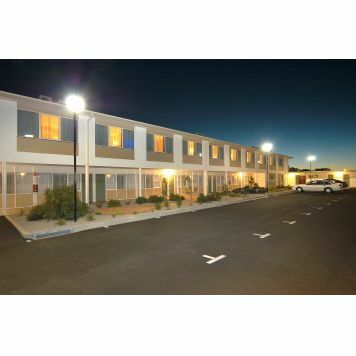 Devonport's Vacation Village is designed for your great holiday. There's a playground for the children, 8 acres of gardens and trees, a wash area for your car, a supermarket for your groceries, gas for your stove, a suite for honeymooners and barbeque areas for Australia's favourite mealtime. And of course Devonport's restaurants are just a step away. Enjoy! 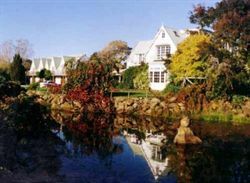 Devonport Historic Cottages offer comfortable self-contained accommodation just minutes from the Devonport City Centre. Tastefully restored, these historic homes are ideal for romantics, honeymooners and families.